Over the last couple of weeks, lots of apps have debuted on Google Labs, a laboratory where our more adventurous users can try our experimental products and offer feedback directly to the engineers who developed them. Teams at Google are gearing up to deliver more and more cool innovations to users, and this month alone, we’ve launched six new products on Google Labs. Here are the highlights of our recent releases. App Inventor for Android makes it easier for people to access the capabilities of their Android phones and create apps for their personal use. Until now, it was only available to a group of people who requested and received invitations. Last week, we announced that App Inventor (beta) is now available to anyone with a Google account. Visit the App Inventor homepage to get set up and start building your own Android app—and be sure to share your App Inventor story on the App Inventor user forum! 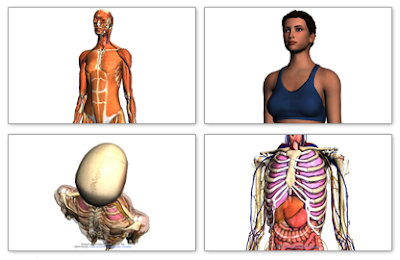 Body Browser is a demo app that allows you to visualize complex 3D graphics of the human body. It works in the latest beta version of Google Chrome and uses WebGL, a new standard that enables 3D experiences in the web browser without any plug-ins. Using Body Browser, you can explore different layers of human anatomy by moving the slider to rotate and zoom in on parts you are interested in. Not sure where something is? Try the search box. You can also share the exact scene you’re viewing by copying and pasting the corresponding URL. DataWiki is a wiki for structured data, extending the idea of a normal wiki to make it easy to create, edit, share and visualize structured data, and to interlink data formats to make them more understandable and useful. 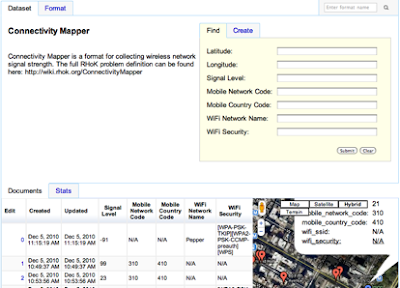 The project is inspired by the need to create customized data formats for crisis response, for example to quickly create a person-finder application after an earthquake, or share Internet and cellular phone connectivity maps from an affected area. DataWiki operates as a RESTful web-service, is built on AppEngine and is completely open source. 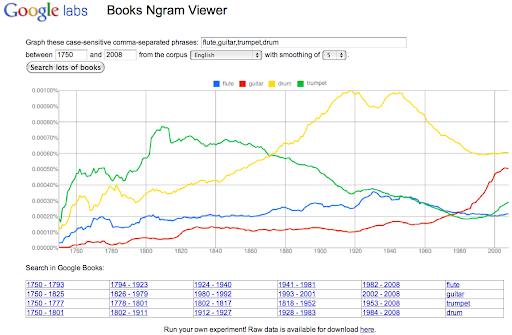 Google Books Ngram Viewer graphs and compares the historical usage of phrases based on the datasets comprised of more than 500 billion words and their associated volumes over time in about 5.2 million books. 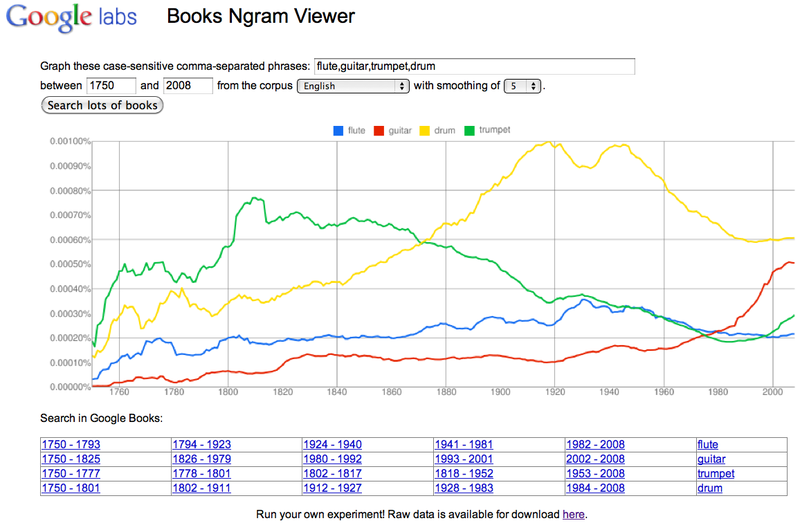 Last week, we released this visualization tool along with freely-downloadable phrase frequency datasets to help humanities research. You can find interesting example queries (e.g., “tofu” vs. “hot dog”) and more information about the effort in our blog post. Google Earth Engine, which we announced at the U.N. Climate Change Conference Cancun earlier this month, is a technology platform that enables scientists to do global-scale observation and measurement of changes in the earth’s environment. It provides an unprecedented amount of satellite imagery and data online for the first time, as well as our extensive computing infrastructure—the Google “cloud”—to analyze the imagery. We’re excited about the initial use of Google Earth Engine to support efforts to stop global deforestation, but the platform can be used for a wide range of applications, from mapping water resources to ecosystem services. It’s part of our broader effort at Google to build a more sustainable future. Google Shared Spaces is an easy way for you to share mini-collaborative applications, like scheduling tools or games, with your friends or colleagues. By creating a Shared Space, you can share a gadget with whomever you want by simply sending the URL. Once your friends join the Shared Space, you can collaborate with them in real-time on the gadget, and you can chat with them, too. This product is built on some of the technology used in Google Wave. Those experimental products have been developed by many teams across Google. Some products were born in 20% time, and some were built by start-up-like teams inside the company. But all of these products were created by passionate, small teams just because they cared about them so much. You can find more Labs products on googlelabs.com. Please play with them and give us feedback. And stay tuned for experiments coming in the future.